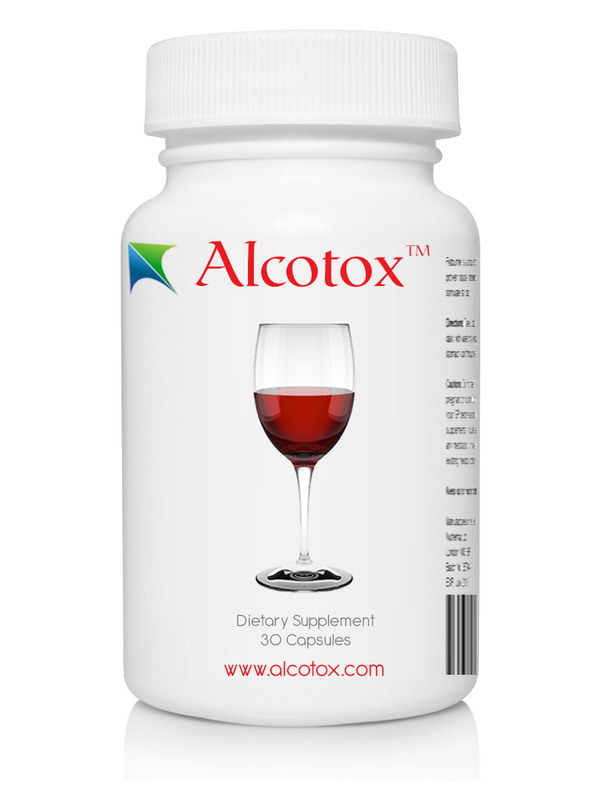 Products » Alcotox 30 capsule bottle. A convenient sized bottle which can also be carried with you. Contains 30 size 00 capsules, which is enough to detoxify between 30 and 57 standard drinks. Take one capsule of Alcotox for every standard drink consumed . Results will be best if the doses are spread out as much as possible. A convenient sized bottle which can also be carried with you. Contains 30 size 00 capsules, which is enough to detoxify between 30 and 57 standard drinks. Take one capsule of Alcotox for every standard drink consumed . Results will be best if the doses are spread out as much as possible. It is often more practical to take two or three capsules before drinking and two or three afterwards. Supplement with additional capsules while drinking as necessary, to maintain protection. It is recommended to take no more than eight or 9 capsules per day. Be sure to keep well hydrated as alcohol is a diuretic. One glass of water per standard drink will counteract the effects of dehydration. All natural formula which contains no stimulants or drugs. Please note that Alcotox does not affect the pharmacology of alcohol, only its toxicity, so you may still become intoxicated. Warning: Do not drink and drive. Payments are made securely by PayPal, credit and debit cards are accepted as well as PayPal accounts. You do not have to register with PayPal to make a purchase with your credit or debit card. Introductory free shipping on all products worldwide, for a limited time period. 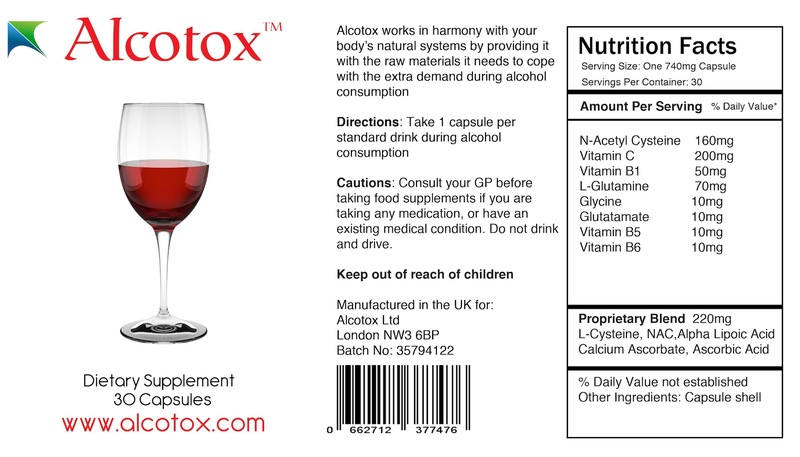 Alcotox™ is a health and wellness company specialising in dietary supplements aimed at reducing alcohol related biochemical harm. 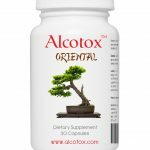 Alcotox™ is a dietary supplement which promotes general health and wellbeing by supporting the body’s natural ability to metabolize alcoholic beverages.